I always expect to see Pok Pok at number one, but the big surprise is that Earl Ninsom has three restaurants on this list in the top four. With all of the Thai restaurants in Portland, this is quite an achievement. Another interesting change; Red Onion has been in the top half of this list since they opened. This year they fell all the way to #15. I’m curious if the quality has gone down, or if they are just being forgotten. Restaurants 7 – 10 made the list, but not by as large a percentage as the others. I haven’t been to any of them, so don’t have much information. 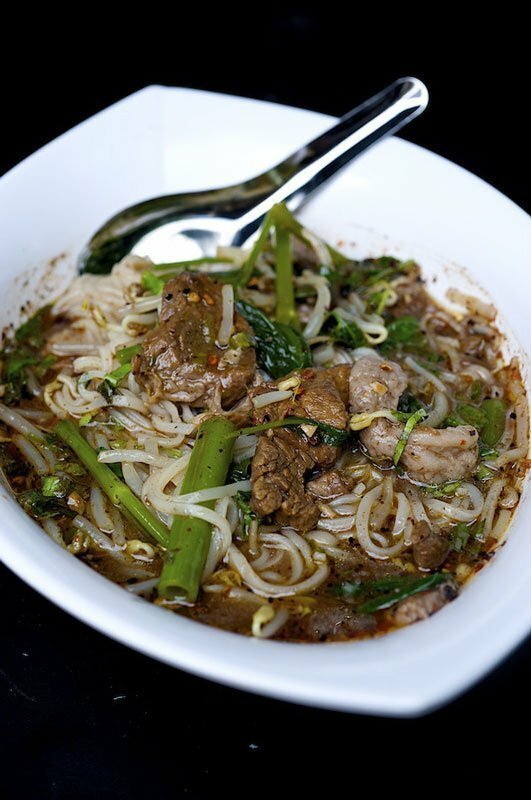 They are included to give you a list of other popular Portland Thai restaurants. Of course, Pok Pok is at the top of this list. The darling of critics, the main Pok Pok restaurant is packed almost every night of the week. This is not your average Thai restaurant. Instead, it is an entirely different type of food, one with its roots not in restaurants, but in the streets of the (mostly) Northern Thai countryside. 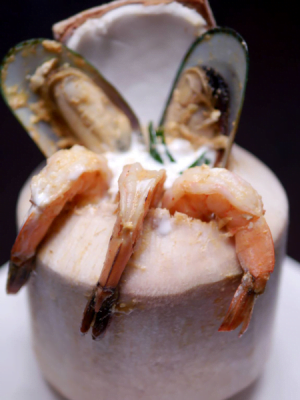 You won’t find curries, pad Thai and the like here – most likely you will not have tried many of these dishes before. 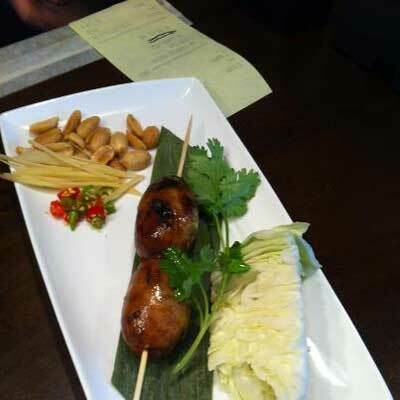 Plunge in – there is a reason for Pok Pok’s popularity. Fortunately, the opening of Pok Pok Wing and Pok Pok Northwest have diluted the waits at other locations. Things to know: you’ll find a wait pretty much every night. Insider tips: put your name on the list and wander a block down the street to Whiskey Soda Lounge, also owned by Pok Pok. Have a cocktail and snacks; the restaurant will call you when your table is ready. Don’t want to deal? Try lunch. Much of the same great menu, and rarely a wait, especially during cooler months. Langbaan is the Thai word for “Back of the House,” named so because the restaurant is in a hidden part of their Paadee restaurant (number 4 on this list). This tiny space is the “it” Portland restaurant right now, with reservations booked months in advance. 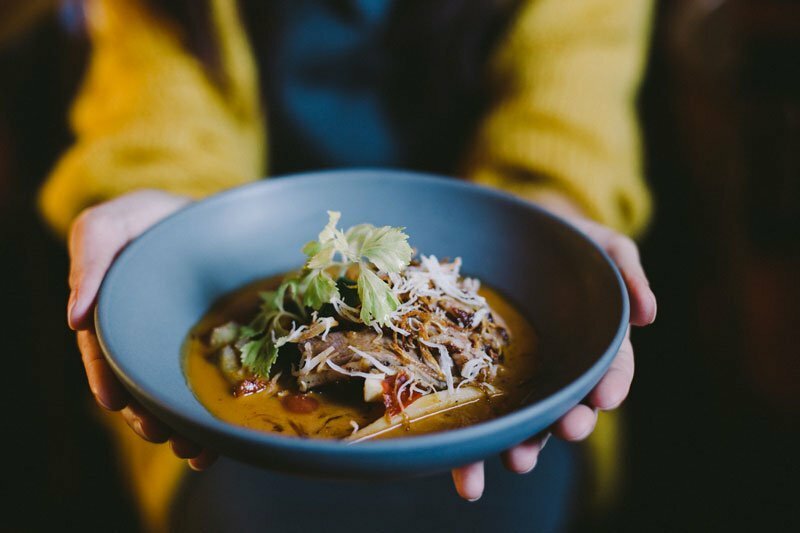 Two seatings are offered Thursday – Sunday nights, all with a fixed tasting menu, with a new regional theme each month, currently for a fixed price of $80 per person. The food is traditionally prepared, every dish playing a compliment to the one that came before. Go with someone who is really into good food and make a wonderful night of it; you won’t regret the decision. 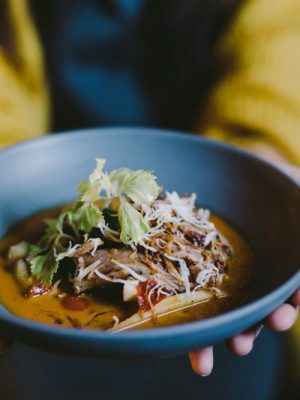 I consider it to be the best restaurants in Portland. Insiders trick – get on the cancellation list, and you may get in earlier than you expect. A second trick, the door is literally hidden. Look for the bookcase by the restrooms and pull the handle. Hat Yai is my new favorite stop when I want good, unique Thai food in a very casual location. 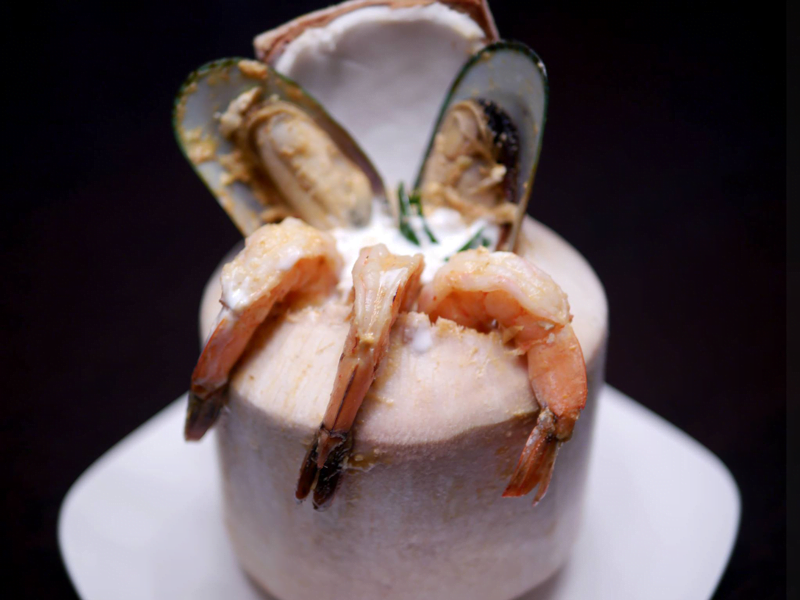 The restaurant is named after the Southern Thai city of Hat Yai, which is near the Malaysian border. Owned by Earl Ninsom of Langbaan and PaaDee which also made this list, Hat Yai specializes in Thai Fried Chicken, Curry, and Roti from that Southern Thailand region. 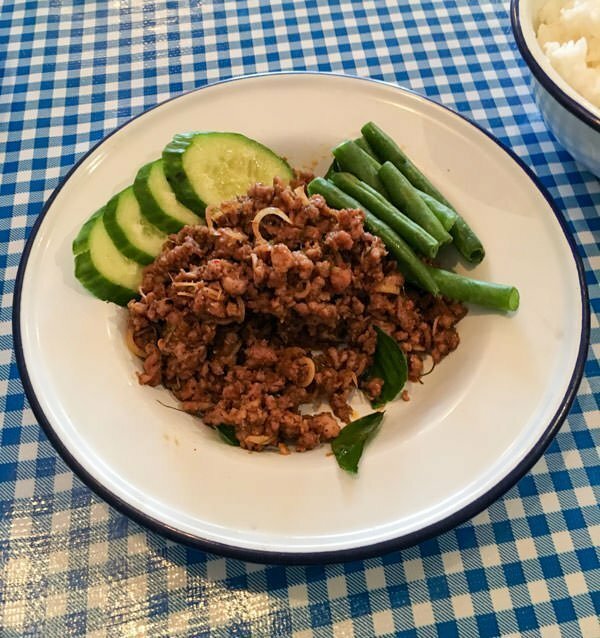 I can’t bypass the Southern Thai Ground Pork, which is hot enough to make me sweat, but addictive enough that I can’t stop – and then the endorphins kick in. The Fried-Chicken stands above just about everything in the city; crunchy, spicy and sweet all in one bite. Throw caution to the wind and explore the menu, though if you have a low spice tolerance, ask for suggestions. Dishes are generally in the $10 – $16 range. I could eat here every week. If I want general Thai comfort food, I head directly to PaaDee. 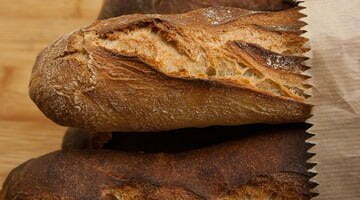 You’ll find much better than average presentations of the cuisine; most of which you may not be familiar with. Once again you won’t find standard curries, pad Thai, and fried rice. I order a variety of dishes, but the Crispy Pork Belly with Green Beans, Basil, Garlic, and Chili is always on the ticket. It’s crispy, piggy, full of textures and flavors. I love this dish. 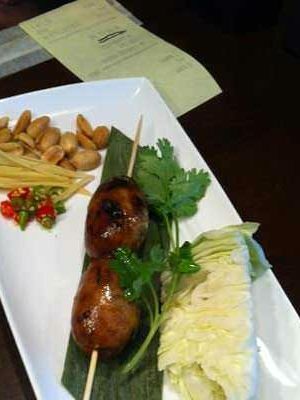 New to PaaDee is the Issan dinner which is served Monday and Tuesday nights. 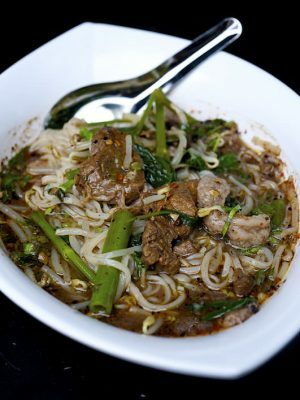 While you can still get some of the normal, classic menu items, Northeastern Thai food is the star. You’ll find the food much more adventurous to the American palate: Beef Tartare with Beef Trip, Muscovy Duck Laab with Duck Liver, House Fermented Pork, and Kurobuta Pork Jowl. The Issan menu is brand new so I can’t speak to the quality, but I aim to remedy that in the next week, and one doesn’t make it into the top four restaurants on this list without turning out excellent food. Prices for entrees range from $13 – $19. Insiders tip, go for lunch to get in without a wait. To quote the famous story, Nong came from Bangkok in 2003 with $70 and 2 suitcases. She saved to open a food cart and now has a brick-and-mortar location (if you haven’t been in a while, the space was enlarged and large windows were added in 2015). 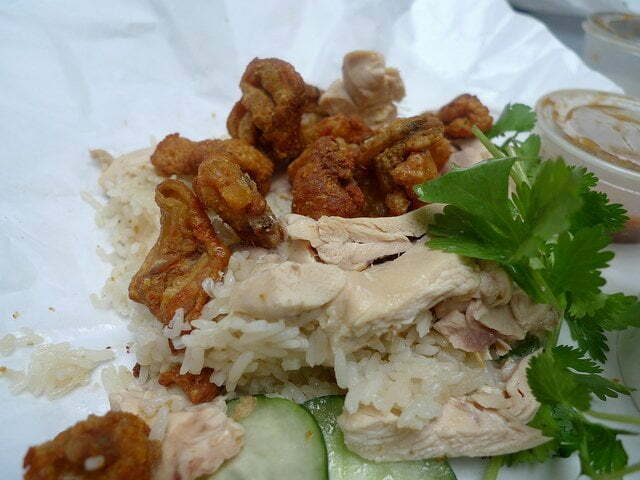 Her specialty is Khao Man Gai, a dish made of rice, chicken, and mild spices. It’s so much better than I can make it sound, which has made her the darling of many food writers, with The Washington Post and The New York Times weighing in. 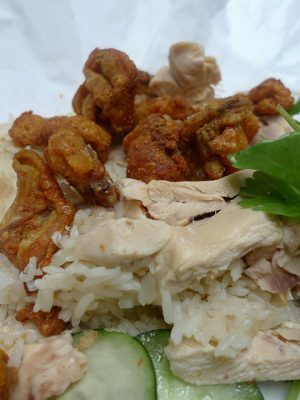 Nong’s is one of my favorite lunches in Portland, and it’s cheap – just $9.25 for a large portion. You can add on extras like chicken liver and chicken skins. If you aren’t on the East side of Portland, no problem; the carts have the same good food. This restaurant specializes in the food of Chiang Mai, Northern Thailand’s largest city; the same region covered by Pok Pok. However, the menu covers a fairly wide spectrum, and you’ll find standard curries, Pad Thai, and other foods from around the country. Chiang Mai has always done well in our polls and is a good option for diners with mixed palates. Northern and Eastern Thai food. Category: Best of Portland 2017. 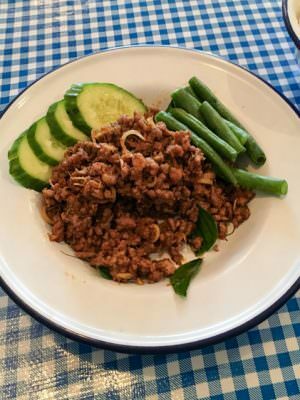 Related posts about Chiang Mai Restaurant, E-San Thai Restaurant, Hat Yai Restaurant, LangBaan Restaurant, Lemongrass Thai, Nong's Khao Man Gai Restaurant, Paadee Restaurant, Pad Thai Kitchen, Pok Pok Restaurant, Thai Bloom Restaurant. More about Andy Ricker, Earl Ninsom.